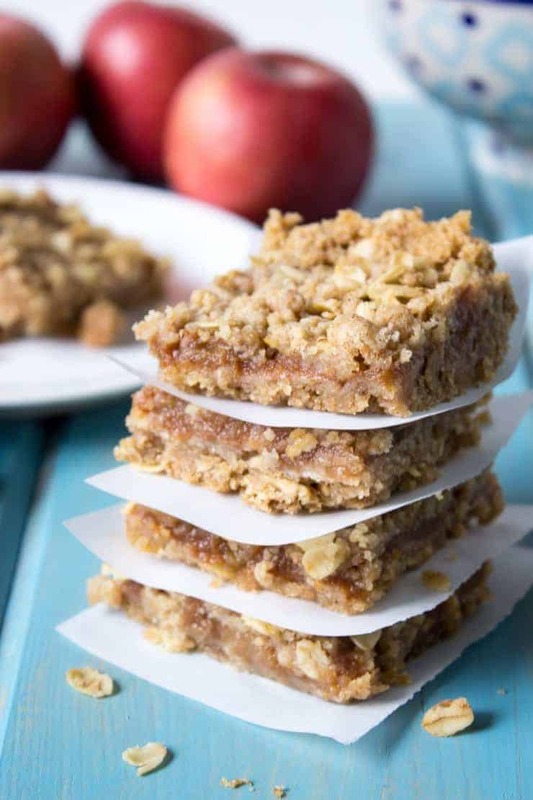 Oatmeal Applesauce Bars are easy to make and delicious for snacking. I started cleaning out my pantry last weekend. I found several jars of homemade applesauce I canned two years ago. My kids don’t eat nearly the amount of applesauce they used to eat. 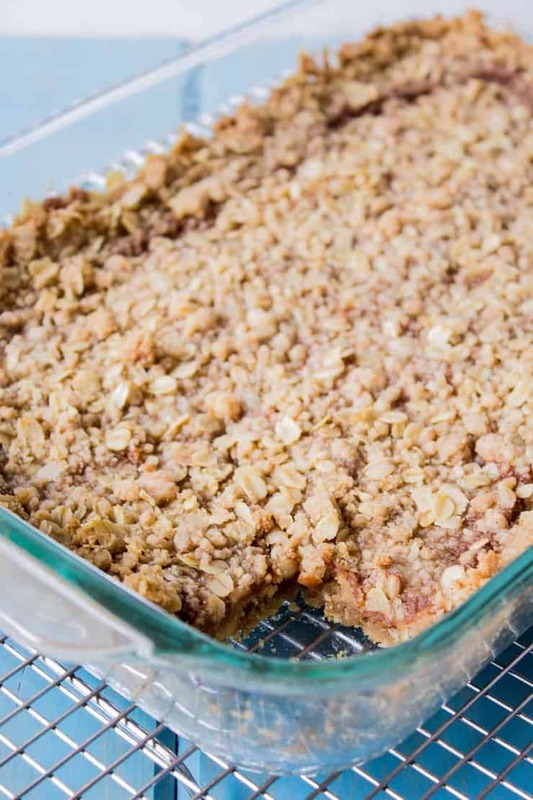 I decided to make applesauce oatmeal bars to use up some of that extra applesauce. 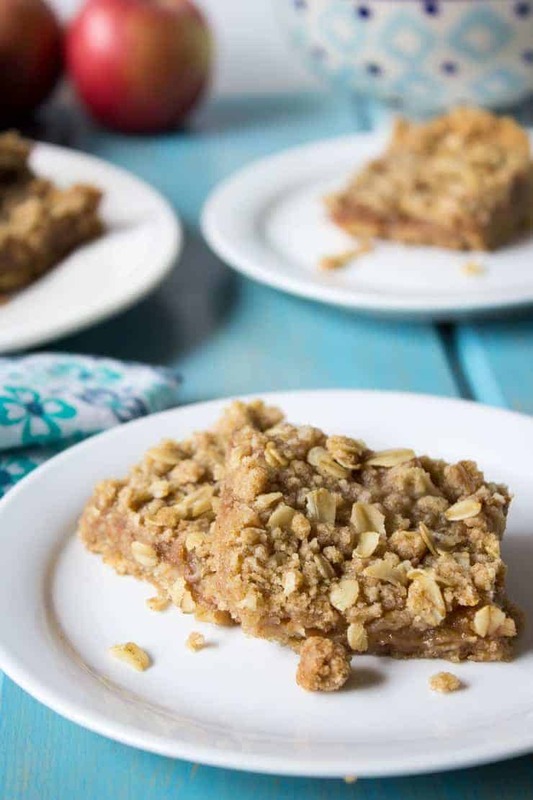 These easy oatmeal bars were a huge hit in my house. They disappeared before I even knew it! I think I’m going to have to start hiding my creations so they last a bit longer. Three teenagers can go through food like crazy! 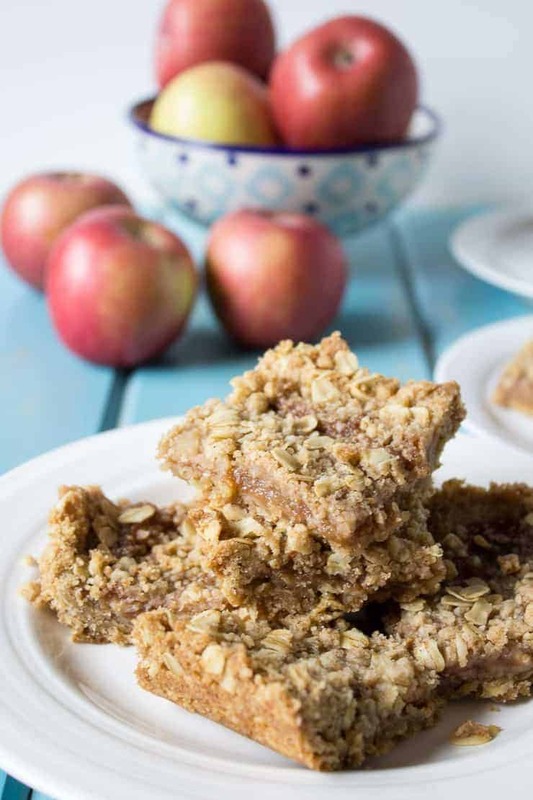 You don’t need to have homemade applesauce to make these bars. Any type of applesauce will work. You just need two cups for the recipe. I have also made these Raspberry Jam Bars before. They are super delicious too! I enjoy baking with oatmeal. A few of my favorites include Oatmeal Dinner Rolls and Oatmeal Chocolate Chip Cookies. 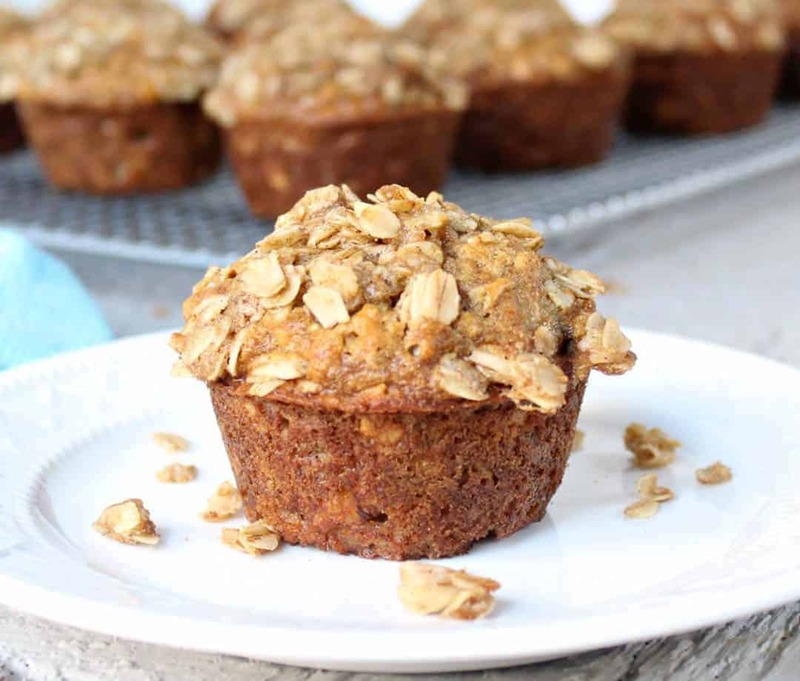 Delicious layers of oats with an applesauce filling. In a food processor bowl, add butter, brown sugar and flour. Pulse until mixture forms small, pea sized crumbs. Add cinnamon and oats. Pulse just until incorporated. Place half the oat mixture in a lightly greased 9x13" baking dish. Press mixture down with your hands. In a small mixing bowl combine applesauce and cinnamon. Pour filling on top of oat mixture. Spread evenly over oat mixture. Sprinkle remaining oat mixture over applesauce. Bake in a preheated 325 degree oven for 40 minutes. 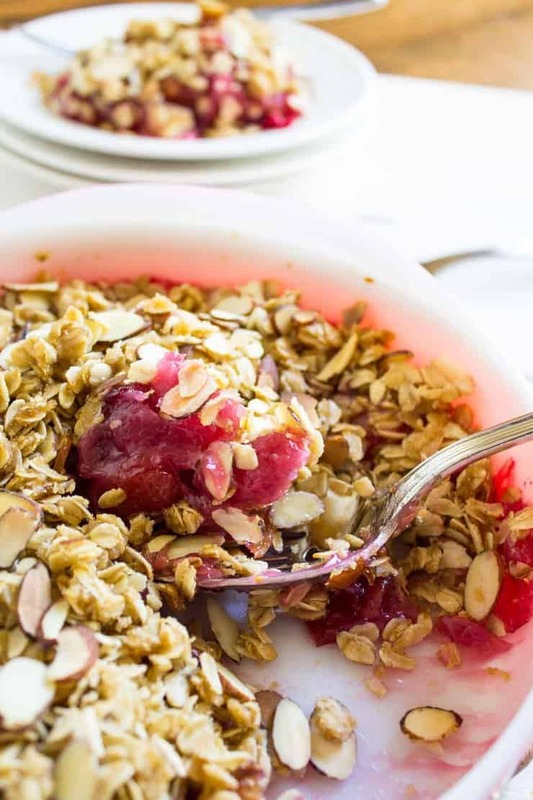 Old fashioned oats, not quick 1 minute oats, work best in this recipe. I don’t own a food processor. Can this be made without one to pulse as per directions. 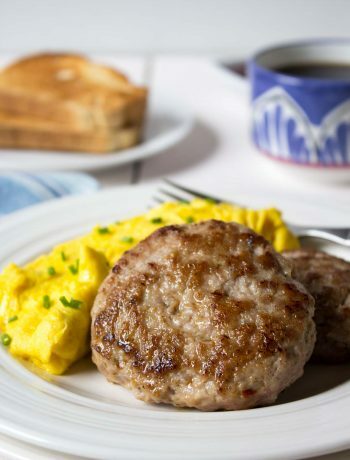 You could make this without a food processor. You could use two butter knives, a pastry blender or your fingers. You just want to get the butter and flour and oatmeal into pea sized pieces. Let me know how it turns out! 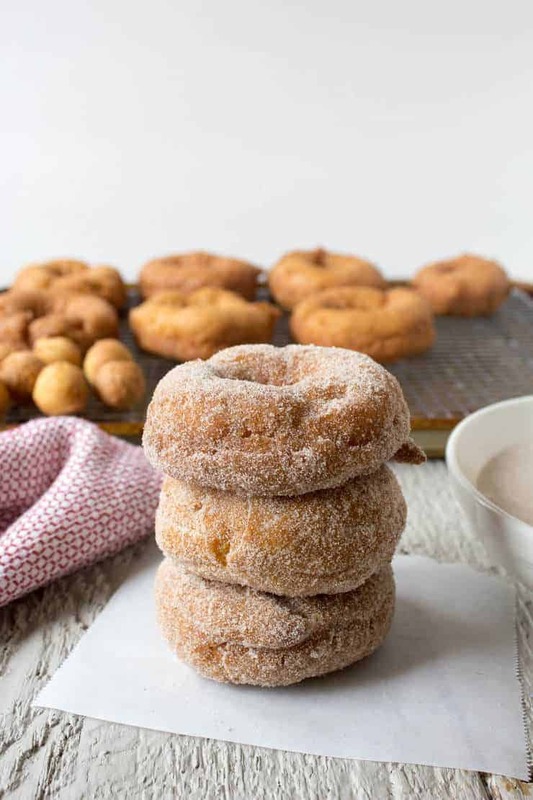 Love all the cinnamon in these Kathy! Teenagers can eat a lot! I remember those days! 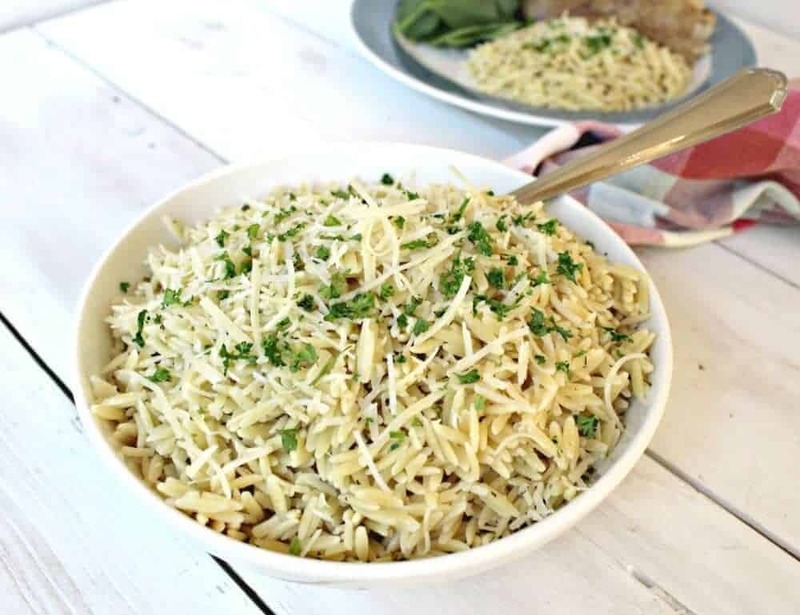 Oh my gosh, I can’t imagine how fast 3 teenagers would destroy a recipe like this one! 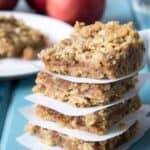 I love a good oatmeal bar, and I’m totally going to have to keep this one in mind for next apple season when we have homemade apple sauce coming out of our ears. Literally. (Well, maybe not literally…but close to it…haha) Looks delicious, Kathy!! 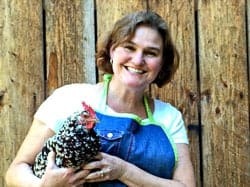 I started to clean out our pantry this past weekend too and there was stuff there I totally forgot about! 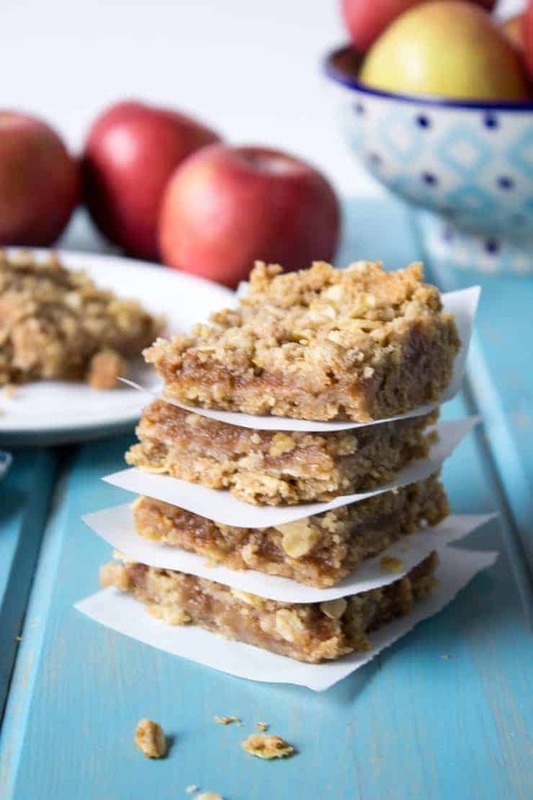 You certainly put that apple sauce to good use with these oatmeal bars 🙂 Delish! Four boys! Yep, I’ll bet you can’t keep anything around for long at all! 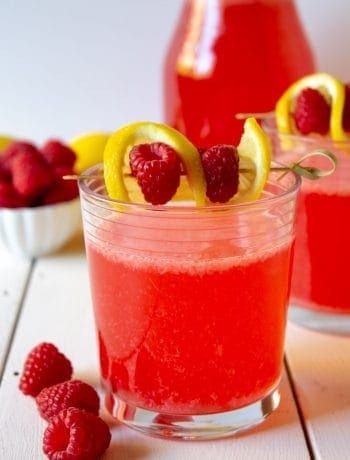 I’ll need to try popping a few in the freezer! Good idea!